Britain should refrain from a reactionary legislative overhaul sparked by an unproven domestic threat of British militants fighting in Iraq and Syria, warns a former MI6 director of global counter-terrorism. In an exclusive interview with the Guardian, Richard Barrett lambasted government proposals for new legislation to thwart British extremists and cautioned against Mayor of London Boris Johnson’s hard-lined suggestion that Britons who travel to Syria or Iraq should be presumed guilty of involvement in terrorist activities until proven otherwise. "This fundamental tenet of British justice should not be changed even in a minor way for this unproven threat – and it is an unproven threat at the moment," Barrett said. In a recent article in the Daily Telegraph, Johnson suggested British jihadists should lose their UK citizenship. He also called for a return of control orders and urged Prime Minister David Cameron to engage in military intervention against the Islamic State (IS, formerly ISIS/ISIL). 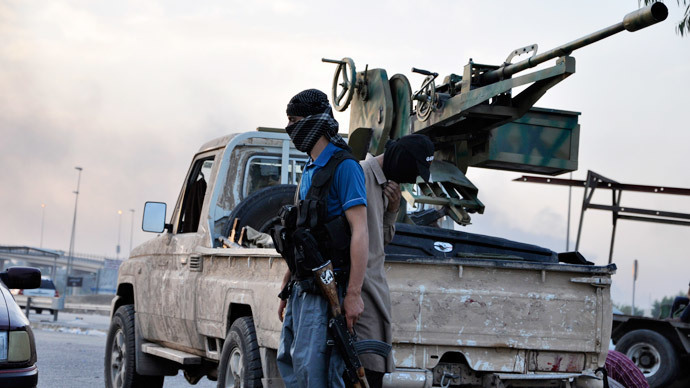 Johnson warned IS militants had seized a landmass the size of Britain, and that the UK government had to intensify its efforts to prevent Britons from making their way to Iraq or Syria to join its forces. "The law needs a swift and minor change so that there is a 'rebuttable presumption' that all those visiting war areas without notifying the authorities have done so for a terrorist purpose," he wrote. But Barrett, formerly head of counter-terrorism at MI5 and MI6, emphasizes the coalition government must better understand the domestic threat ISIS poses prior to the introduction of any new laws. "Sure, there's a problem with people who go to Syria and they may have broken the law if they joined organizations like Islamic State and Al-Nusra Front, but there should be some sort of effort to prove that, rather than assume they've done so," Barrett stressed. Britain’s Home Secretary Theresa May stipulated last week that the government would consider outright bans of extreme fundamentalist groups – even in those cases where they “fall short of the legal threshold for terrorist proscription.” She also suggested the coalition was considering increasing the state’s powers to stop radical preachers from spreading their ideologies. Barrett urged caution in this regard, suggesting such a legislative shift could curb freedom of speech, particularly with respect to groups whose sermons don’t overtly or directly encourage violence. 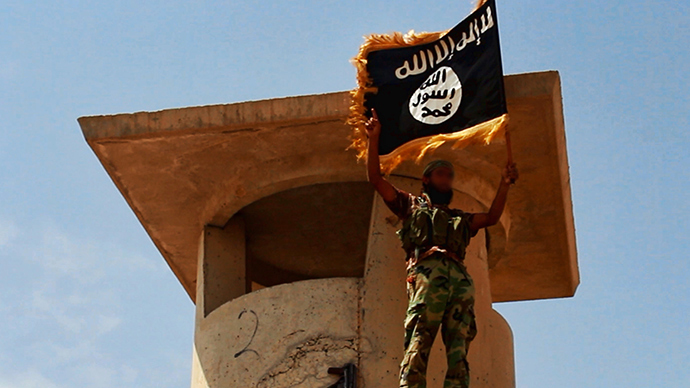 He also called for “a clearer analysis” of what prompts people to depart from Britain to fight alongside IS militants. Dominic Grieve, a Conservative MP and Britain’s former attorney-general, echoed Barrett’s view emphasizing a large-scale legal overhaul may be premature based on the single, albeit horrific, murder of US journalist James Foley. In an interview on BBC Radio Four, Grieve dismissed Johnson’s suggestion that those who travel to Syria and Iraq should be presumed guilty of terrorist activities unless they can categorically prove otherwise. With respect to Johnson’s proposal that UK jihadists should be stripped of their citizenship – a move that was also suggested by UKIP leader Nigel Farage last week – Grieve argued such a policy was "entirely contrary to a United Nations convention of which we are signatories." "If we are about to rip up a UN convention, we need to think through the consequences," he said. UK ambassador to the US, Sir Peter Westmacott, confirmed over the weekend that technology with advanced voice recognition capabilities has been utilized to identify James Foley’s killer. 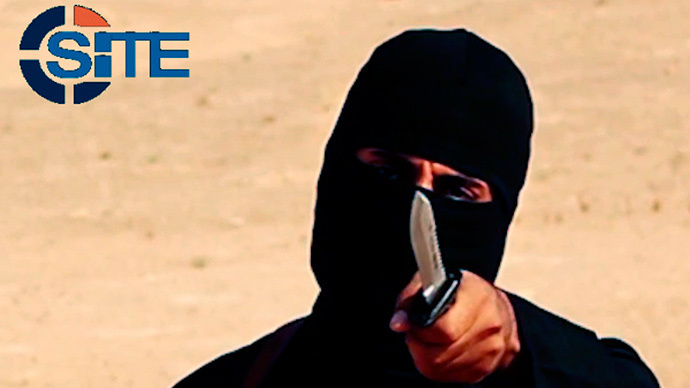 Dubbed ‘Jihadi John’, the man in question’s real identity has not been made public. But the investigation into Foley’s brutal beheading – spearheaded by MI5 - has not deterred other young British militants from publicly bragging about their ongoing actions in Syria. A former medical student from the Welsh city of Cardiff boasted on Twitter recently that he had helped to force Yadizis to convert to Islam. The same 20-year-old man had claimed days before there were “hundreds of Yadizi slave women” in Syria. In a letter published in the Daily Telegraph last week, May expressed unwavering determination to tackle IS. She also emphasized increased legislative powers would be central to this. “We will be engaged in this struggle for many years, probably decades. We must give ourselves all the legal powers we need to prevail,” she said. But the home secretary added that the UK government’s attempts to thwart IS extremism and terrorism should not rely on increased legal powers alone. The coalition is working to understand “what makes British citizens, born, raised and educated in this country, want to participate in terrorist activities,” she stressed. In an effort to tackle the threat of radicalization in Britain, hundreds of Britons have been offered state support to deter them from “drifting into extremism and violence,” according to May. 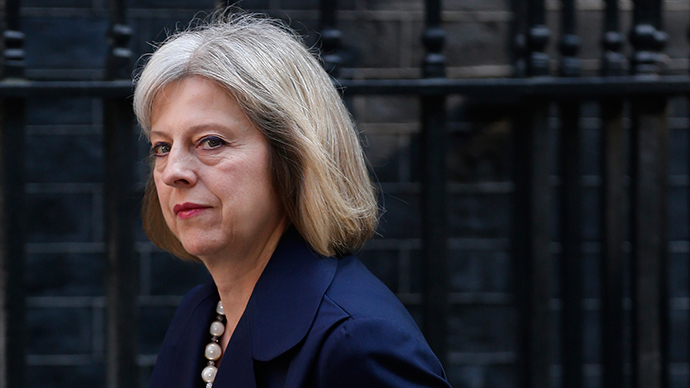 She claims such programs are proving effective, and are succeeding in bolstering Britain’s national security. On Tuesday, a spokesperson for Cameron told the Guardian that such a legislative change to combat the threat posed by Islamic State militants amounted to a “kneejerk response.” By contrast, Downing Street emphasizes the Prime Minister is pursuing a "patient and resolute" path to counter a "generational challenge" posed by IS militants in Syria and Iraq. Central to the government’s plan, is the thwarting of the extremist ideology that underpins the Islamic State, according to Cameron’s spokeswoman. At present, the home secretary already has the legislative power to strip Britons in possession of dual nationality of their UK citizenship. 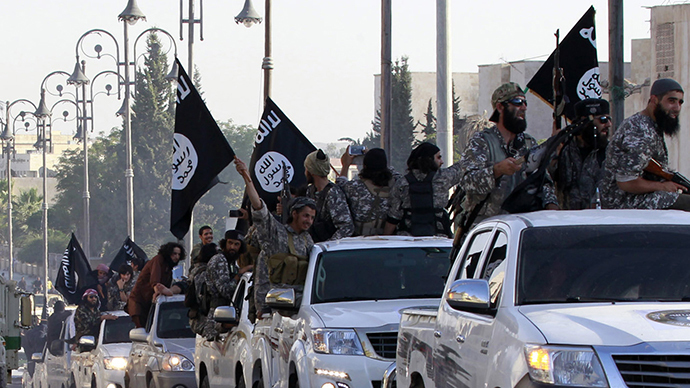 ISIS beheading: Militants ‘represent a direct threat’ to UK security says Foreign Sec.